Our commitment to helping our Alma Mater has pushed us to do better and to aim for more. Know more about our organization, how we started, and how we plan to accomplish our goals. The Annie Walsh Old Girls Association (AWOGA) is a global network of alumnae of The Annie Walsh Memorial School (AWMS) in Freetown, Sierra Leone, West Africa, operating under various branches worldwide. Established in the state of Maryland on July 26, 1986, The AWOGA Washington Branch, a qualified tax-exempt non-profit charitable association, provides a local medium in the Washington DC Metropolitan Area for AWMS alumnae and well-wishers to be highly engaged as a community in support of The AWMS. Provide financial support and assistance in promoting the academic, social and cultural goals of its alma mater, The Annie Walsh Memorial School. 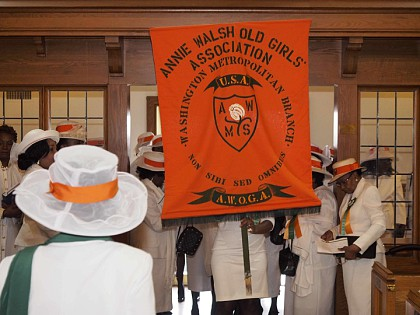 Membership in the Association is open to any and all bonafide Annie Walsh Alumnae who are residents of the United States, and who have met membership dues requirements. Past AWMS pupils who are visitors in the United States are eligible to become associate members for a period not to exceed one year. All AWMS alumnae are eligible and are invited to become members of the AWMS Old Girls Association (AWOGA). Provisions for membership and governance of the association are detailed in the association’s by-laws. The association is managed by the board of elected officers. Meetings are held on the first Saturday of the month, January through April, and August through December starting at 5:00 p.m. (prompt), by conference call or at announced venues. The school is divided into six houses named after the first principals. bless all those who belong to it, present or absent. ought to serve through Jesus Christ our Lord. on the rock of integrity. in the world to take our place. In 1816, the Anglican Church Missionary Society opened a small private school for girls in the mountainside village of Charlotte in Sierra Leone with only eight students on the roll. The school began with a vision to educate and train young African girls in pursuit of excellence in all areas, including high academic performance, sound discipline, and a solid Christian foundation. Annie Walsh Memorial School was named after an English girl whose dream was to become a missionary in Africa. Unfortunately, Annie Walsh died in a tragic accident at the age of 20. Her parents established the Annie Walsh Memorial Fund which was added to monies collected by the Christian Missionary Society of the Anglican Church and used to erect the first school buildings. In 1865, the school moved to its present location in Freetown on Kissy Road and was formally named the Annie Walsh Memorial School in 1878. To train young African girls in pursuit of excellence in all areas, including high academic performance, sound discipline and a solid Christian foundation. Over the years, the school has consistently outperformed its peers in terms of academic achievement, making it the most prestigious secondary school for girls in Sierra Leone. Academic excellence has been one of the major thrusts of the School over the years. For example, the following ‘firsts’ in the country are products of the school. 1849 Miss Julia Sass was sent from England to be the first Principal of the School. 1851 The School moved to a site where Holy Trinity Parsonage now stands. 1865 The School moved to its present site. 1878 The School was formally named ANNIE WALSH MEMORIAL SCHOOL. 1924 The School’s Girl Guide Company was formed. 1928 Miss Hamblet, Principal, introduced the green school uniform. 1937 Kindergarten classes were phased out and the School became an Assisted Public Secondary School. 1939 The School’s premises were taken over as a Military barracks during the 2nd World War. 1949 The School celebrated its Centenary. A tennis court was built to mark the occasion. 1951 The Sierra Leone church’s garden party was held in the School’s grounds at which the Archbishop of Canterbury Dr. Fisher was present. 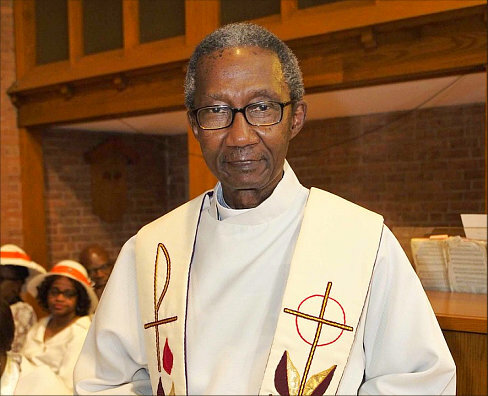 Dr. Fisher was the 1st of three Archbishops of Canterbury who have been guests of honour at garden parties held at the Annie Walsh Memorial School Grounds. The others are Archbishop Ramsey and Coggan. The School grounds have also been honoured by the visits of four Archbishops of West Africa-Vinning, Horstead, Patterson and Scott. 1952 The Principal’s Residence and the Boarding Home were erected. 1954 The present School Song “Builders” composed by Mrs.Tina Atkins was introduced and sung for the first time. 1955 Orange belts for good conduct were awarded for the first time. 1956 The sixth form for G.C.E. ‘A’ Level work was started. 1957 The science block was added to the School. 1958 The School Chapel was consecrated. 1961 The first African Principal, Mrs. Lati Hyde-Forster, was appointed. 1969 The new School Library was put up. 1972 A new Home Management Practice Flat was erected by Self-Help. 1973 The I.D.A. Block of specialist rooms and canteen were erected, as well as the I.D.A. Science Laboratory and Administration Block and Staff Room. 1978 Nineteen pupils obtained a Grade One pass in the WAEC G.C.E. ‘O’ Level Examinations a record result in the country at the time. The new permanent open air stage was erected. 1988 Bidemi Carrol set a national record by scoring 9 top distinctions at the WAEC G.C.E. ‘O’ Level Examinations. 1989 The A.W.M.S. School Band, the first female School Band in the Western Area was formed.